Jesse Gonzalez aspired from a young age to be an attorney because of his desire to help others. As such, Mr. Gonzalez is a highly motivated and dedicated trial attorney who represents individuals who have been injured due to the negligence of others. Mr. Gonzalez earned a Bachelor of Science degree from the University of Illinois at Urbana-Champaign and a Juris Doctorate from The John Marshall Law School. While in law school, Mr. Gonzalez was appointed as the lead member of the Restorative Justice Program at The John Marshall Law School. Through this program, Mr. Gonzalez advocated for the restorative justice of non-violent defendants as well as spoke with youth at numerous elementary and high schools throughout Cook County. Mr. Gonzalez focuses his practice in the area of civil litigation and specifically, personal injury, medical malpractice and wrongful death. Mr. Gonzalez deals with all aspects of these complex cases including client consultation, drafting and arguing of pleadings and motions, depositions, negotiation, mediation and trial. 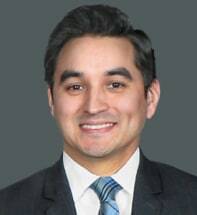 In his years of practice, Mr. Gonzalez has gained invaluable litigation and trial experience. Mr. Gonzalez has tried countless cases to jury verdict in both civil and criminal cases. Mr. Gonzalez serves the community by participating in various mentor/mentee programs in the Chicagol and area. Mr. Gonzalez is a member of the American Bar Association, Chicago Bar Association, Hispanic Lawyers Association of Illinois, Hispanic National Bar Association, and Illinois State Bar Association. In his limited free time, Mr. Gonzalez enjoys playing basketball, tennis and spending time with friends and family.